Luxury Swiss watchmaker, RAYMOND WEIL, is proud to unveil a new collaboration in its Music Icons series, the freelancer AC/DC Limited Edition, paying tribute to legendary Rock and Roll Hall of famers, AC/DC. This exclusive watch incorporates the in-house developed Calibre RW1212 movement, allowing onlookers to view the rocking “Alternating Current/Direct Current” balance within the timepiece. 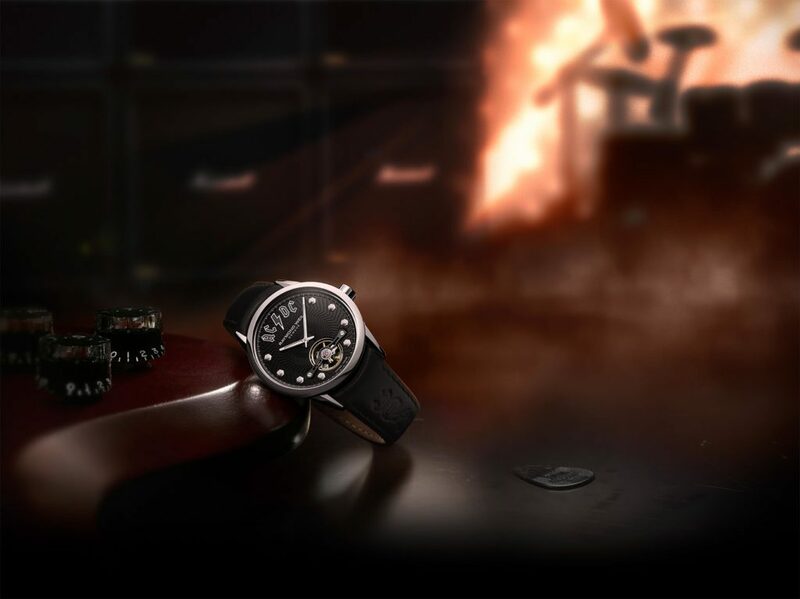 RAYMOND WEIL, unveils its latest edition to its ever-expanding collection of music influenced timepieces, featuring subtle design cues inspired by the legendary Rock band, AC/DC that have been translated into a horology masterpiece using decades of watchmaking know-how. Measuring 42mm in diameter, the freelancer AC/DC Limited Edition exudes a notable air of masculinity. Lined with luminescent treatment, slender hour and minute hands articulate the time with lucid dialogue. 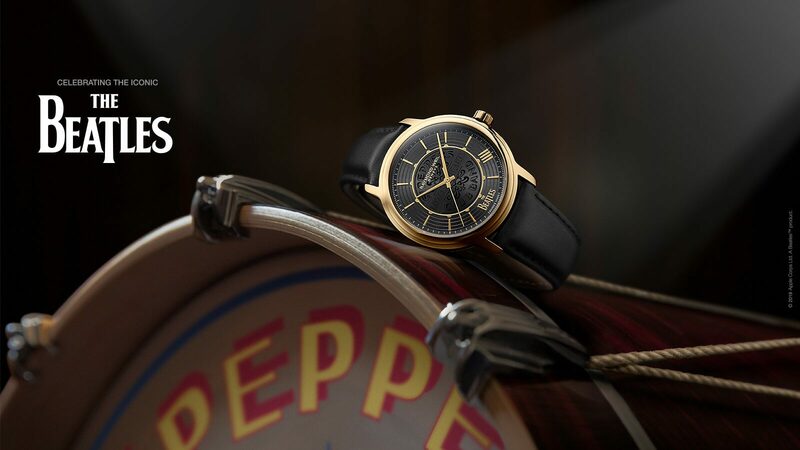 To reinforce the Rock and Roll attitude of the timepiece, the hours are marked with studded indexes. The black dial features a textured pattern recalling the AC/DC high voltage bolt graphics. It sits adjacent to the iconic AC/DC typography placed at 12 o’clock. 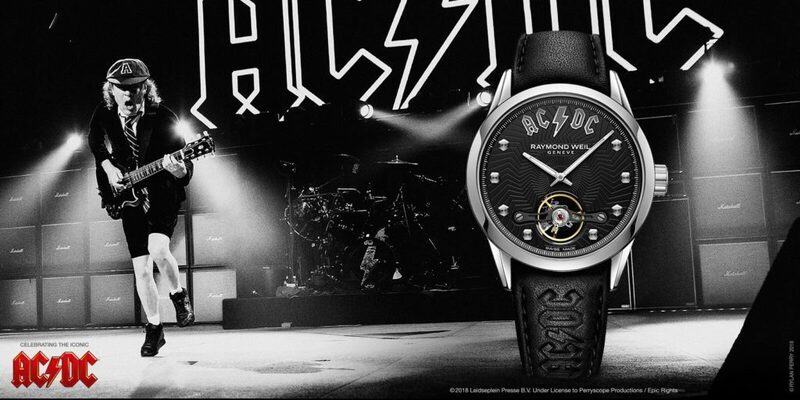 The powerful rock credentials are reaffirmed through the black leather strap, adorned with the AC/DC logo. Beyond its aesthetic prowess, the 3,000 pieces and numbered freelancer AC/DC Limited Edition is endowed with the in-house, self-winding movement, the Calibre RW1212. It offers a stage opening on the lower part of the dial allowing onlookers to view the rocking “Alternating Current/Direct Current” balance. 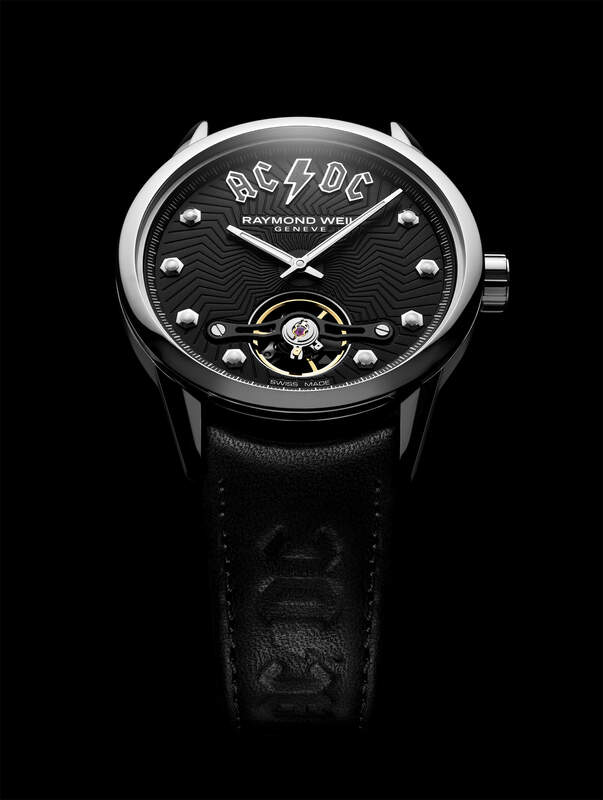 Each of the freelancer AC/DC Limited Edition will be presented with a specially designed watch case and a corresponding certificate of authenticity. “There is very little doubt that AC/DC is and continues to be one of the most iconic rock bands of all time and it has been a pleasure to collaborate with them. As AC/DC perfectly quoted “let there be light, sound, drums and guitars-let there be rock”” declares Elie Bernheim, CEO RAYMOND WEIL. 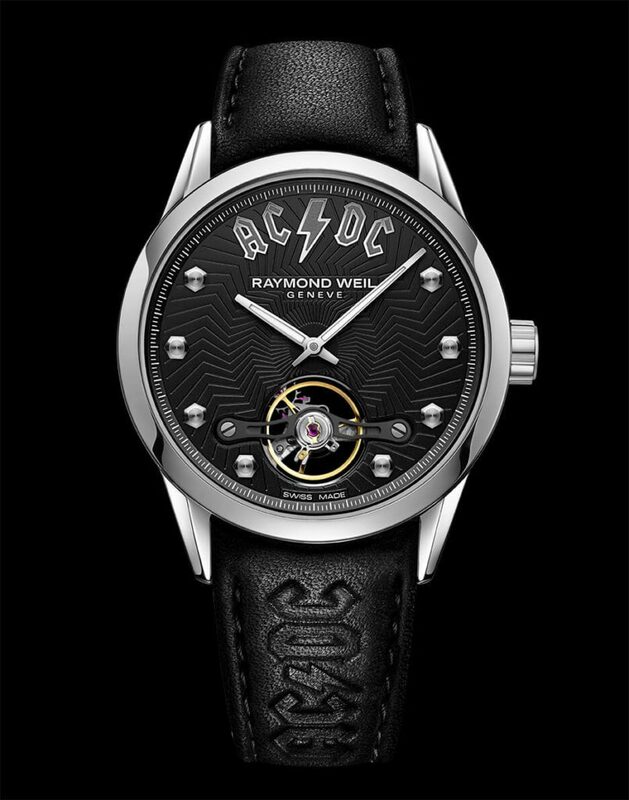 “The collaboration with RAYMOND WEIL marks a fantastic opportunity for AC/DC to join the other great music artists such as The Beatles, David Bowie and Frank Sinatra, who have already collaborated with the luxury Swiss watchmaker. 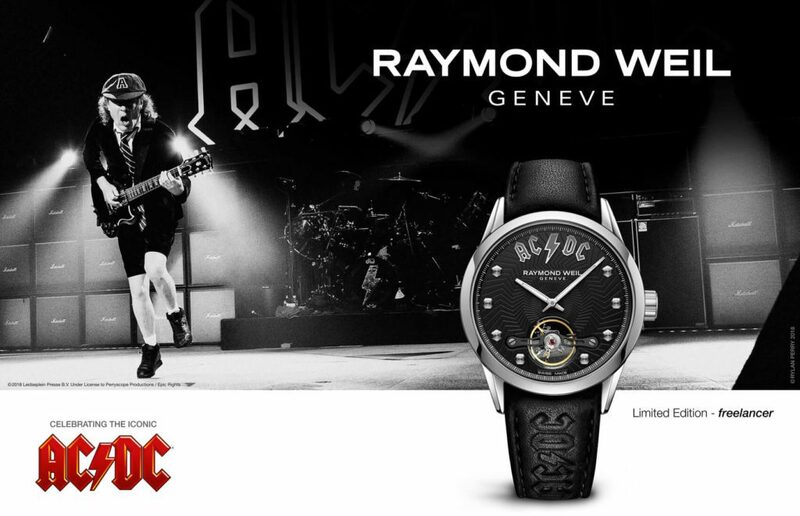 AC/DC is delighted to be part of RAYMOND WEIL’s music Icons series. It was essential that the design of the watch represent the tireless energy of the band. The balance between being aesthetically pleasing and mechanically crafted was key in the design process” says Norman Perry, president and founder of Perryscope Productions who along with Epic Rights are AC/DC’s worldwide licensing representatives. 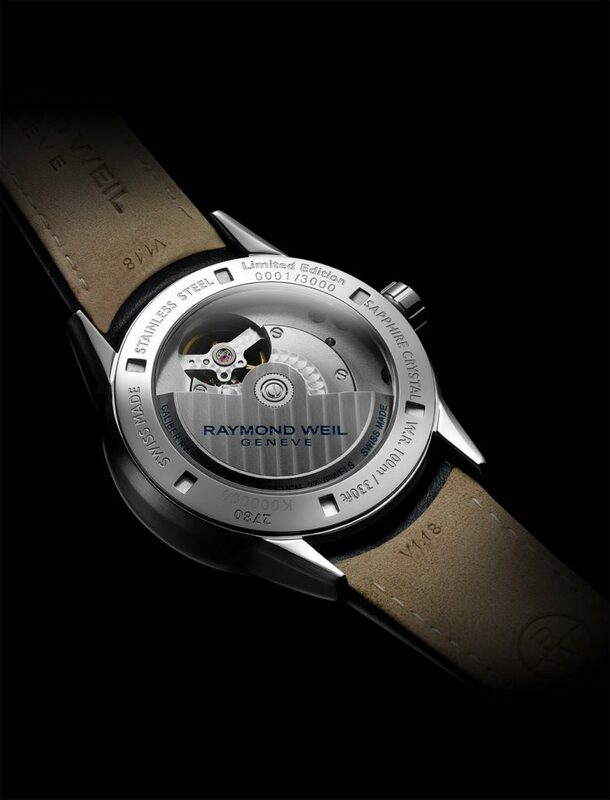 RAYMOND WEIL continues to use music as its key inspiration for both product design and marketing of the Brand worldwide. It carefully selects its music icon partners based on very specific touch points. The honesty and trueness of the design process and intricate detailing placed within each timepiece is what sets the music icons series apart. Join the discussion on social networks using the hashtag #RWacdc.